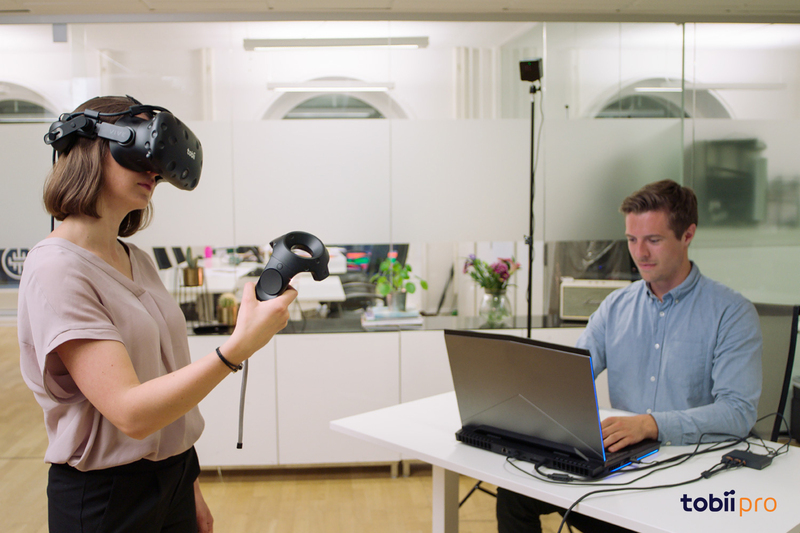 Tobii Pro, the global leader in eye-tracking research solutions, announces a new analytical tool: Tobii Pro VR Analytics that allows eye-tracking studies to be conducted within 3D virtual reality (VR) environments. The tool integrates into Unity environments and comes with automated features for visualizing and measures what a user sees, their interactions and navigations within a simulated world. 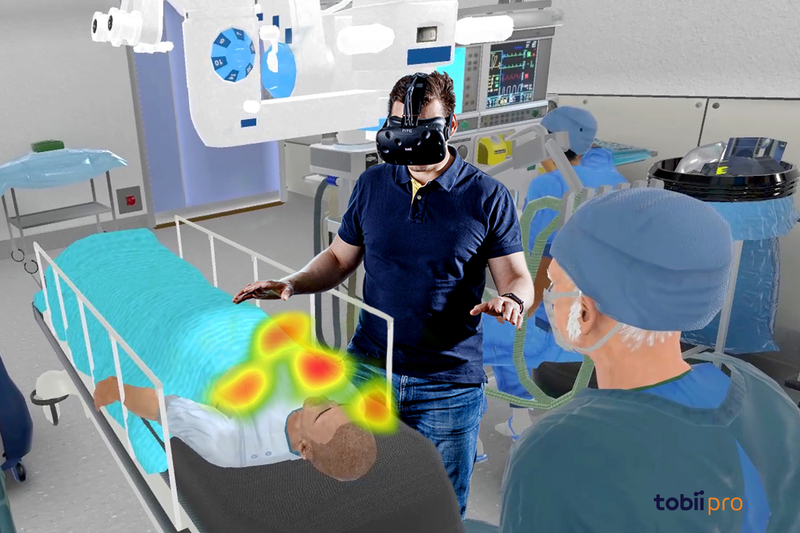 The combination of eye tracking and VR can uncover the factors that drive human attention across an unlimited number of hypothetical scenarios. 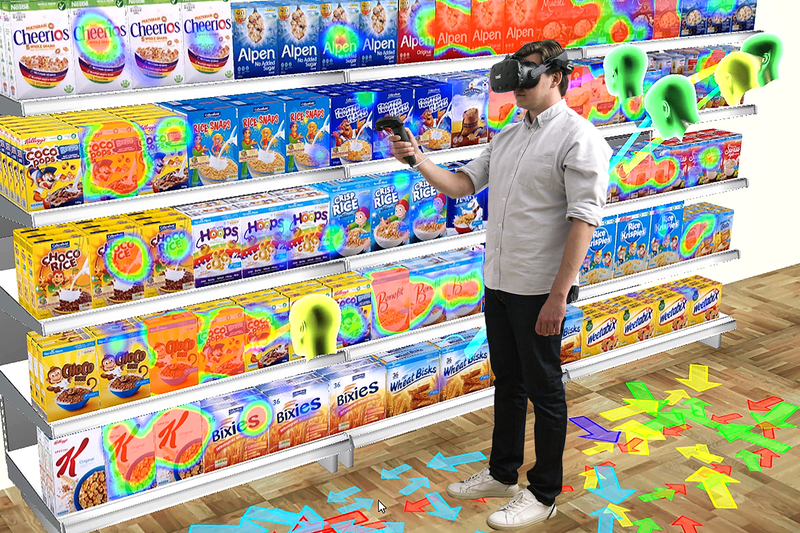 Instant access to eye-tracking analytics will help brands, retailers and designers analyze the key influencers of behavior and decision-making throughout the consumer journey. The new analysis tool will also open up for more efficient, engaging and safer training of individuals particularly in complex and high-risk occupations such as industrial, medical, and emergency response. 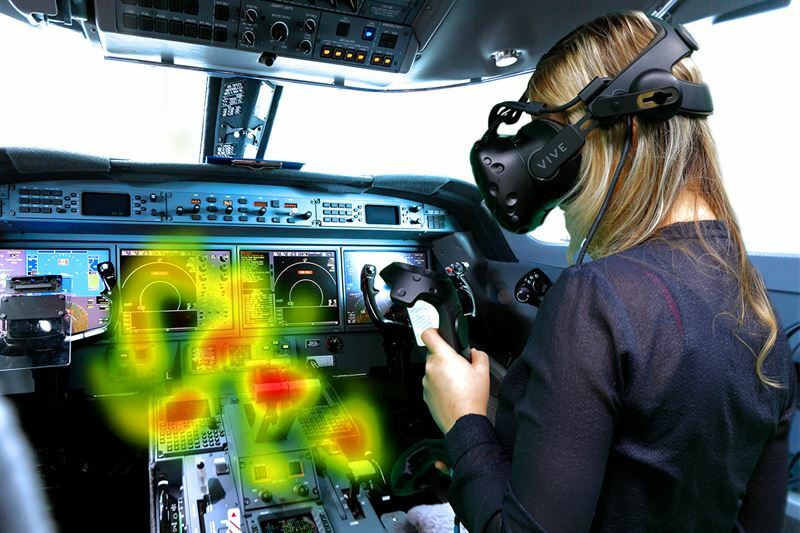 “Eye tracking has proved to be a natural part of VR, and the launch of Tobii Pro VR Analytics is major step towards our larger vision to also provide businesses and researchers with the tools to capture insights from these immersive environments. 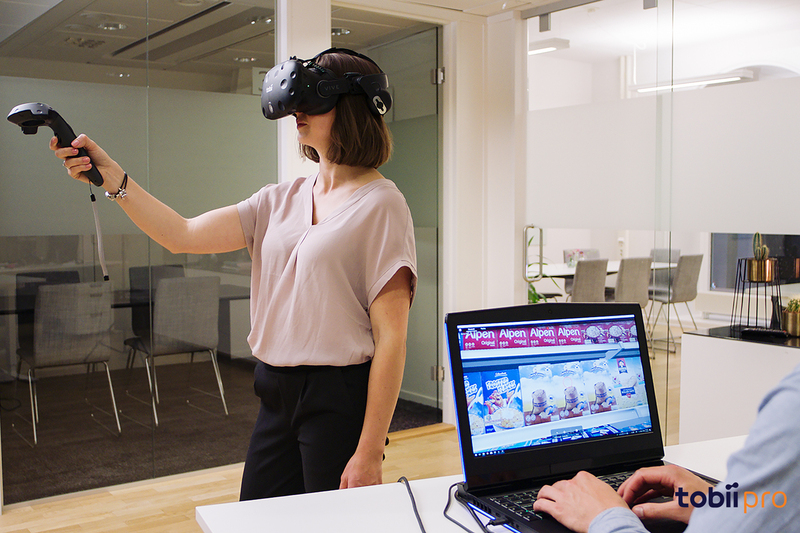 VR puts you in complete control of an environment while eye tracking explains our behavior while in that world – a powerful combination making the behavioral insights accessible to many more people”, said Tom Englund, President, Tobii Pro. A retailer can quickly iterate between layouts of a store design and track the visual attention to arrive at one that is optimized to how shoppers walk the space and pick up items along the way. A commercial brand can test various product packaging on a virtual store shelf to gauge the best combination of color and design that will catch attention and get picked up by the customer. A manufacturing company can place workers in different training scenarios to evaluate reactions and responses. Eye tracking will help determine what can be done to help workers identify the warning signs of an accident before one occurs. A hospital can simulate a surgery and observe the attention and visual skills of surgeons performing complex techniques and their awareness of the surroundings. Allowing them to make mistakes without impacting a patient and develop their skills to be applied in the real world. A construction company can lay out a whole building design during the concept phase and track people’s attention and navigation to determine optimal placement of signage and functions such as emergency exits. An aviation company can place pilots in flight simulations to teach and understand best practices of maneuvering and reading of instruments. 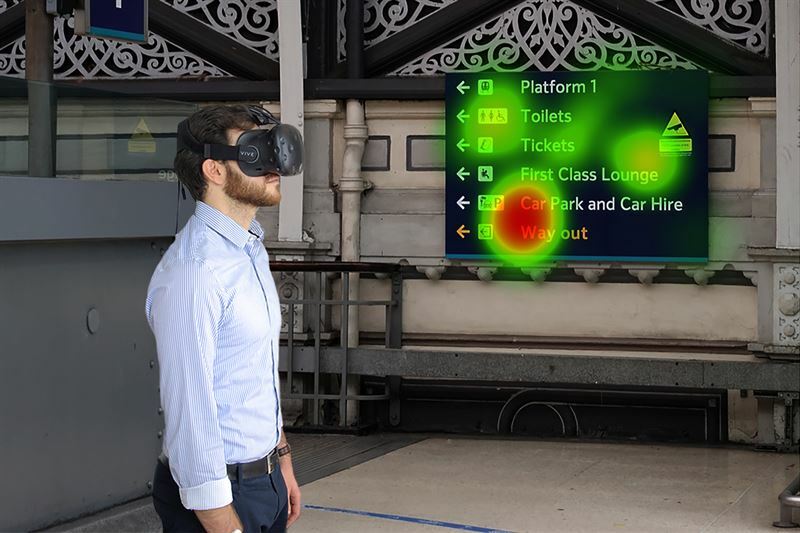 “Using eye tracking within a VR environment helps us better understand how people navigate around a space. We can design better wayfinding systems and start to explore issues much earlier”, said David Watts, Managing Director, CCD Design & Ergonomics. “We want to bring evidence into the design process, the visualizations tell us what people actually look at and how their attention is drawn to different design interventions we make. This methodology is so much more powerful than relying on our own intuition about what does and doesn’t work. It also provides a great visual record to demonstrate behaviors to others in the design team”. CCD is a consultancy with 40 years’ experience in applying the science of human factors & ergonomics to the design process. Integrates into existing Unity environments – allowing businesses to leverage on investments already made in content creation for VR. 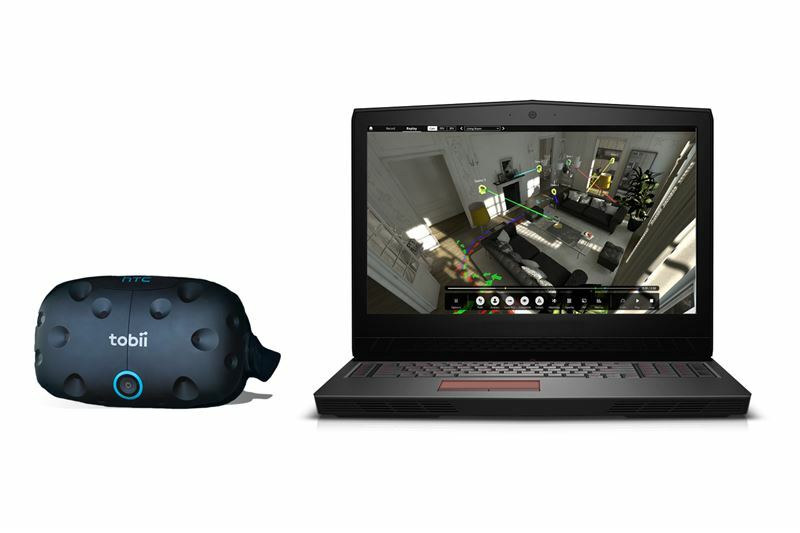 Designed to work with actual eye-movement data, enabled by VR headsets integrated with Tobii eye-tracking technology. Access to analytics from eye-tracking data, navigation and interactions is instantaneous and visualizations are automated. Heat and opacity maps show the points in a VR landscape that received the most attention. Scene overview with path maps illustrate how one or multiple study participants moved through the scene providing an understanding for foot traffic and potential bottleneck areas. 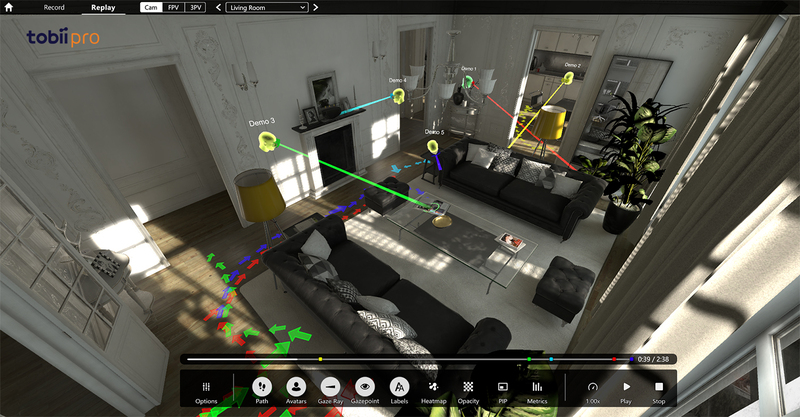 Tobii Pro VR Analytics is based on the analysis tool acquired together with Acuity ETS and Acuity Intelligence in January of 2018. Tobii is the global leader in eye tracking. Our vision is a world where all technology works in harmony with natural human behavior. Tobii operates through three business units: Tobii Dynavox makes specially designed computers that are controlled by eye movement or touch screens for use by people with special needs due to spinal cord injuries, CP, ALS or other medical conditions. Tobii Pro develops and sells eye-tracking equipment and services used today by more than 3,000 companies and 2,000 research institutions, including all of the world’s 50 highest ranked universities. Tobii Tech further develops Tobii’s technology for new volume markets, such as computer games, personal computers, virtual reality and smartphones. 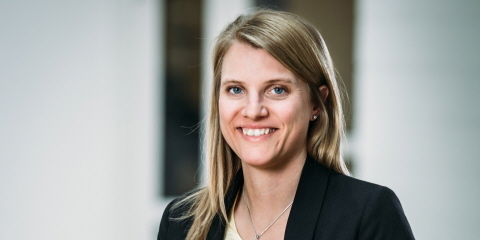 Tobii is headquartered in Sweden and is listed on Nasdaq Stockholm (TOBII). The group has about 1,000 employees. For more information, visit www.tobii.com.